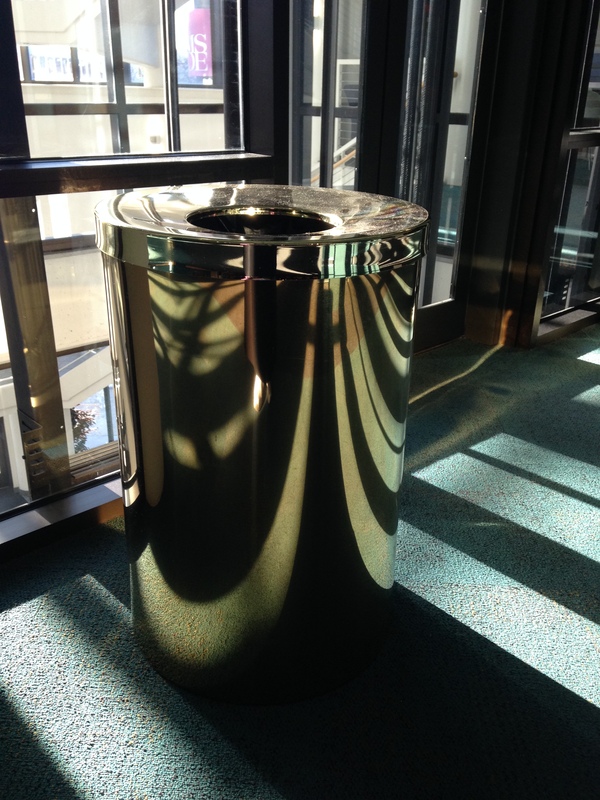 Like a zebra or tiger, this garbage can’s “disruptive coloration” stripes allow it to blend in with its environment . 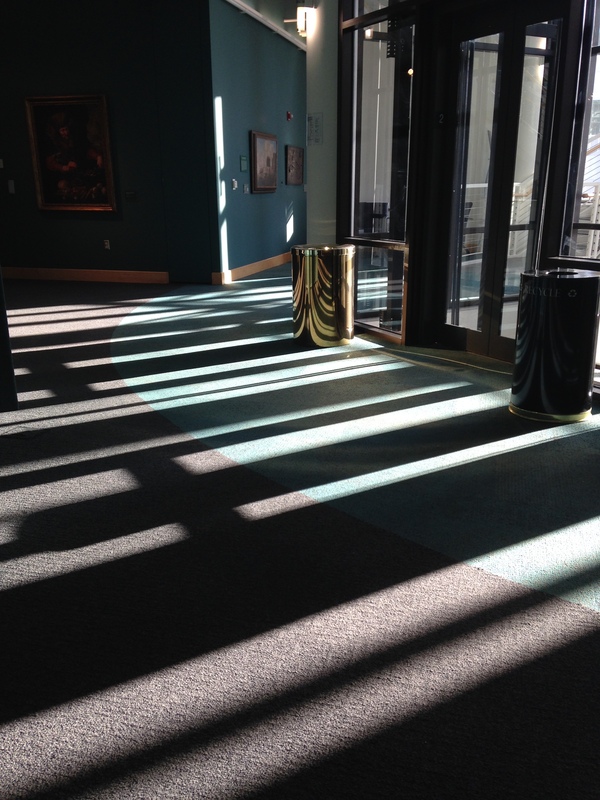 . . at least during the time of day that afternoon sun pours into the Grohmann Museum via its four-story atrium, casting shadows like long fingers stretching into the galleries. I had to look up “protective coloration” to make sure it was the correct term, and it was, although “disruptive” is more accurate. Both are forms of camouflage, which itself is a word with an interesting etymology. 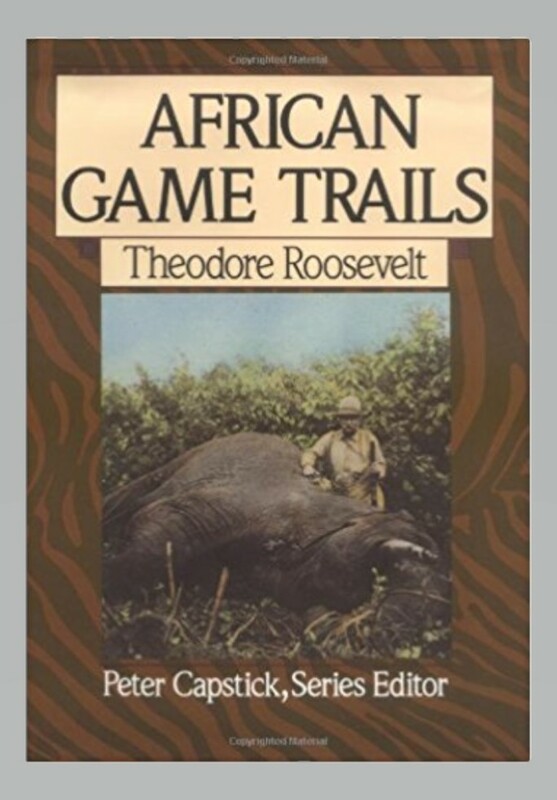 And here’s an interesting related/unrelated tidbit: as I was doing a quick run through Google to find the right term, I came across a book called African Game Trails: An Account of the African Wanderings of an American Hunter-Naturalist. Did you catch the author’s name? Theodore Roosevelt? In March 1909, shortly after leaving the Presidency, Roosevelt made an extended visit to Africa to “collect specimens” (I’m not sure what kind, although as you can see from the book’s cover, he also shot at least one elephant) for the Smithsonian. Very interesting! I’m putting this book on my “to read” list. 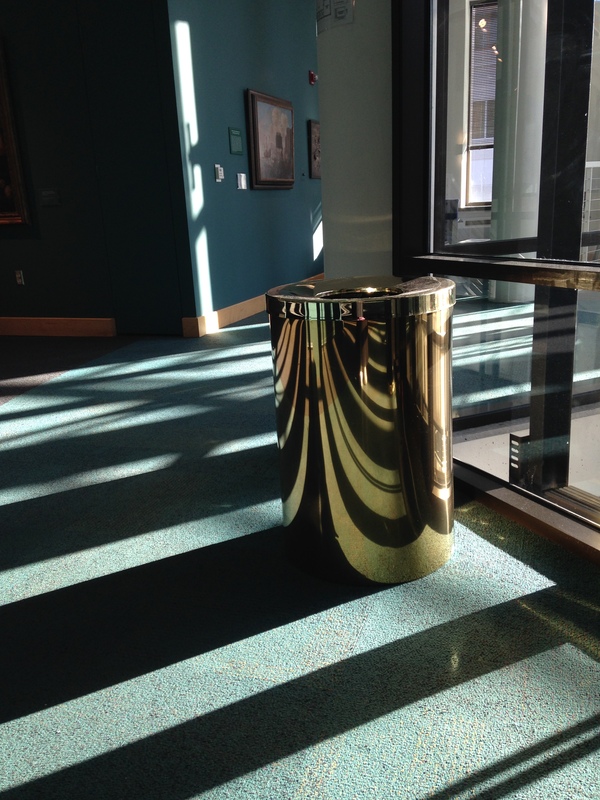 This entry was posted in architecture, Books and reading, Milwaukee, Photography and tagged camouflage, disruptive coloration, Grohmann Museum, Milwaukee, protective coloration, Theodore Roosevelt. Bookmark the permalink. The pics are marvelous. I miss the daily visual excitement of the Grohmann Museum. But I’m even more interested in the book by Teddy R. He was certainly an interesting character in our country’s history. Prone to depression, but an extrovert, he was bigger than life in his adventures and misadventures. He found solace and maybe sanity at his ranch in the Badlands of North Dakota and area that is now encompassed by the Teddy Roosevelt National Park. We try to stop by there whenever we can and have found the same solace. When you look at his words, he sounds like a modern day Democrat (for the most part) but was a Republican at the time. So interesting. I wonder if this book is an audio book. That’s really interesting background info about Teddy R.! I think I remember you posting pictures from there on one of your cross-country adventures. It doesn’t look like the book is available as an audiobook, but you can get it in hardcover, paperback, or Kindle format.